Many years after my first experiences of sharing residences with extended family or housemates, the need arose again, and kin came to the rescue. During the course of my second marriage we decided it would be a good idea to get out of the rental market and build a house. To do so we needed to save every cent we earned so we thought to rent somewhere small & cheap for the 3 months construction term advised by the builder. With 2 cats, Baddy & Jack, and dog Bo, finding such a place proved impossible so we took up a generous offer to live with my husband’s daughter, her 2 kids and new partner. 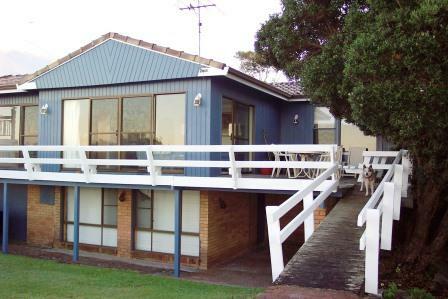 We 4 adults, 2 kids, 2 cats and a minimum of 3 dogs shared an old, compact 3 bedroom brick clad house 3 blocks from the beach. In the main it was a satisfactory arrangement with logistical and financial benefits for everyone. The dogs and the kids thrived, happy because they always had company. The cats were confined to our bedroom as the household was chaotic and I couldn’t risk them bolting. There was one flaw. My husband’s daughter was a vet nurse, and she brought her work home in the form of numerous & varied rescued animals and birds. I’m fond of the furred and feathered but you simply never knew what you’d encounter where. When the budgie died, it lay in state legs up in the cage for a day or two, so when I saw it had been removed; I who have a horror of dead things was relieved I could now go out the back past its cage. My relief was short-lived when I opened the freezer door to deposit a packet of peas, and found it in a plastic bag shroud next to the icecream. Getting to work entailed a long drive on the freeway to the city, so my morning shower occurred at 4.30 am. Ordinarily it would have been a drowsy non-event but bathtubs are a handy repository for sick rescued animals like the quarantined 7 puppies whose mother died from a mystery illness that was threatening them. It was the only bathroom in the house. After the puppies were re-homed the bathroom wasn’t vacant for long. This time it was a ferret, which thought the shower a much better toilet option than a litter tray, and didn’t take kindly to intrusion. I spent a month showering nervously, one eye on its twitchy demeanour until it bit one of the kids and came to a sad but swift end courtesy of the daughter’s partner. It was unfortunate and reactive, but a somewhat of a relief. I look back now and think why? how? but when you have a goal and few options, do-able has a broader scope. oh wow … you have really had some housing adventures! i would hate to share a shower with a ferret .. not at all sorry about how it ended 🙂 sick puppies in the bath? at 4 am??? Moving on with my life pushed these memories into the archives. And, yes, there were quite a few memorable experiences – the stuff of life. I quite liked ferrets, I thought, until I had to live with one. When I was a kid in the country people kept them in cages in their backyards, and took them rabbiting. They didn’t keep them as pets. I can see why. OMG – I think a movie could be made about your time there!! And I’m so grateful for the old farmhouse I live in & also for the lovely home we have in the mountains. Neither place is palatial but both are warm and cozy – and full of love ! There’s no place like your own home but I’m thankful for the people who have opened theirs’ to me along the way. Warm and cozy beats palatial, I agree. -giggles- I’m sorry but parts of this post were laugh out loud funny! Why did she put the budgie in the freezer???? Thank you 🙂 I was laughing as I wrote it. In hindsight it was often a madhouse! I asked the same question, not phrased quite so politely, about the departed bird… too busy to bury it was the answer. I was always cautious opening the freezer after that. Wow. That house sounds like it was bursting at the seams! As much as I like animals I think that would be a bit too much for me though. It is funny the things we do in the way of housing when we are young. The Man and I have lived in a tiny bungalow, an ancient caravan (not on holiday unfortunately), and a rickety old house with a floor so wonky the tv cabinet needed a large wedge under the front to keep the doors from swinging open all the time. Our questionable accomodation never made us unhappy though. I love that quote “…..all you have is all you need”. 😀 The kids sometimes ask for a bigger house (ours is very small) and we say “no problem!” and then explain how life would have to change for us to be able to afford it. They soon realise why won’t be upgrading any time soon. It was crowded from our point of view but in the ‘olden days’ people had big families and small houses. Apparently one family raised 12 kids in our 3 bedroom house at TA. Part of the verandah was enclosed but the kitchen was tiny with little cupboard space & a woodstove, an inside bath (no shower), outside dunny, no built ins, tank water… Ditto for my grandparents’ farm – 4 adults and 4 kids in a 3 bedroom farm house. Thank you 🙂 I didn’t mind the ferret but hated it in the bathroom staring at me. It was an amusing time, and a household that laughed a lot. It’s what saved us. I really appreciated my new home. Though a funny post it does show how great family can be at coming to the rescue. What a menagerie you had in there over the period. I’m really sorry about the sticky end the ferret came to and I’m glad my rats didn’t have to be farmed out there but all in all it seems to have worked well if not the perfect choice. No wonder you were happy to go and sleep on the floor though. Thank you 🙂 I’m glad your rats weren’t farmed out there too . I would not have moved in. It was funny, then and also now writing about it. Good times from the past are always worth remembering. Sounds like a warm, busy family environment, which like at Chrismas, when ‘everyone comes down to the coast’ is a human time-bomb…..Glad you got out alive. I often wonder though, in retrospect, would I pass, on these types of experiences, if given the choice again? Wonder how you feel about this one? Easy answer. Had I known them what I knew at the end of the 6 months, yes, I would have put more effort into making other arrangements but at the time it seemed viable, and the only option on offer. I bet you were down there helpng the builder so as to hurry things along.. however… needs must and i am sure it worked out in the end! I also love that noisy family full house atmosphere but one needs ones own shower time!! Elladee, what an adventure. Part horror (the freezer discovery), part hilarious fear (the ferret in the shower). You always brighten up my day. Thanks for sharing this! I’ve had a proper chuckle at the house full of rescues. It is hilarious to look back on 🙂 The thought of the budgie still horrifies me, and I’ve lost any affection I had for ferrets. Thank goodness she wasn’t into reptiles. That would have been the stone cold end of it.